Any reference above to we/our is made with respect to Bougies De Luxe Candles online. Errors and Omissions: We are not responsible for any typographical errors or inaccuracies set forth in this web site. The information, prices, and discounts set forth herein are subject to change without notice. Bougies De Luxe is committed to protecting your personal information and we agree to comply with the National Privacy Principles (NPPs) set out in the Privacy Act and administered by the Federal Privacy Commissioner. 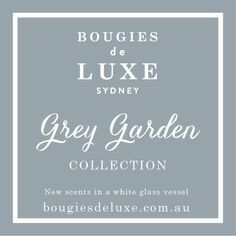 If you wish to cancel your order please contact Bougies De Luxe immediately at info@bougiesdeluxe.com.au or call 0416 604 073. Once payment for an order has been accepted, cancellation is at the discretion of Bougies De Luxe. If your candle order has been processed more than once from multiple accidental submissions or due to a technological glitch we will refund the duplicate order(s). The information contained on this website is provided by Bougies De Luxe. To the best of Bougies De Luxe’s knowledge, the information is accurate and current. 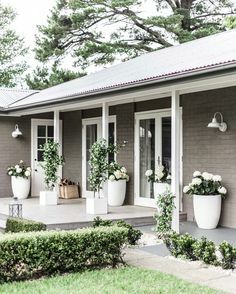 However, Bougies De Luxe makes no representations or warranties of any kind, express or implied, in relation to any information, content, materials or products included in this website or to its availability, functionality or performance, except as otherwise provided under any applicable law. Neither Bougies De Luxe nor any third party will be liable for any errors in content, or for any actions you take in reliance on them. You nor any other person may hold us liable for any delays, inaccuracies, errors or omissions in respect of such content, the transmission or delivery of such content or any loss or damage arising from any of them. We may in our sole discretion restrict your access to this website. If we do this, you may be prevented from accessing all or parts of the website, your account details or other content contained in your account. Bougies De Luxe will not be liable to you or any third party for doing so. Bougies De Luxe may impose limits or restrictions on the use you may make of this website. Further, for security, technical, maintenance, legal or regulatory reasons, or due to any breach of these terms, we may withdraw this website, or change or remove website functionality at any time without notice to you. 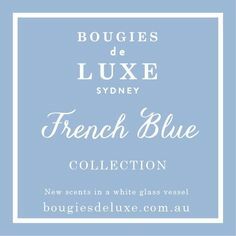 Given the nature of the internet, Bougies De Luxe cannot guarantee that any data transmission is totally secure, free from viruses, fault or other conditions which could damage or interfere with your computer systems and we do not warrant that your access to the website will be uninterrupted, error free or that any defects will be corrected. 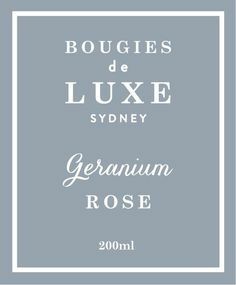 Whilst Bougies De Luxe takes precautions to protect information, we do not warrant and cannot ensure the security of any content or information you transmit via the website. You therefore transmit to the website at your own risk. If you become aware of any problems with the security of the website, please contact us immediately. You must take your own precautions to ensure that the process which you use to access the website or any website does not expose you to the risk of viruses, malicious computer code or other forms of interference which may damage your own computer system. 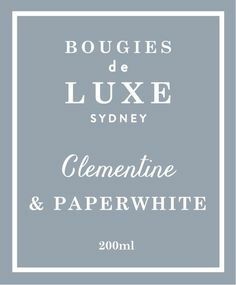 For the avoidance of doubt, Bougies De Luxe does not accept any responsibility for any interference or damage to your own computer system which arises in connection with your use of this website, any website or any linked website. We do not accept responsibility for any loss or damage, howsoever caused (including through negligence or matters outside their control), which you may directly or indirectly suffer in connection with your use of this website or any linked website, nor do they accept any responsibility for any such loss arising out of your use of, or reliance on, information contained on, or accessed through, this website. To the maximum extent permitted by law, Bougies De Luxe disclaims any such representations or warranties as to the completeness, accuracy, merchantability or fitness for purpose of this website or the information that it contains. The use of the information on this website is at your own risk. To the extent permitted by law, Bougies De Luxe excludes all liability of any of them in respect of any injury, loss or damage arising out of, or related to, the use, or inability to use, the information on this website or provided through this website through email. This limitation of liability includes, but is not limited to, compensatory, direct, indirect or consequential damages, interruption of business, loss of data, income or profit, loss of, or damage to property, and third party claims. You agree to indemnify Bougies De Luxe and other persons involved in the creation of this website from all damages, losses, penalties, fines, expenses and costs (including legal costs) which arise out of or relate to your use of this website, any information that you provide via this website or any damage that you may cause to this website. This indemnification includes, without limitation, liability relating to copyright infringement, defamation, invasion of privacy and trade mark infringement. These Terms are governed by and construed in accordance with the laws of New South Wales, Australia and you irrevocably and unconditionally submit to the non-exclusive jurisdiction of the courts of New South Wales, Australia. If any provision of these Terms is found to be invalid or unenforceable by a court of law, such invalidity or unenforceability will not affect the remainder of these Terms, which will continue in full force and effect. If you access this website in a jurisdiction other than New South Wales, Australia, you are responsible for compliance with the laws of that jurisdiction, to the extent that they apply. 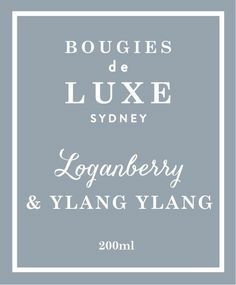 Bougies De Luxe makes no representations that the content of this website complies with the laws of any country outside Australia. All items advertised on Bougies De Luxe’s website are in stock unless otherwise stated. 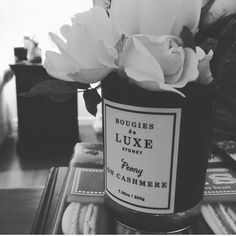 Bougies De Luxe only use quality products, we also reserve the right to substitute products that may be unavailable or out of stock, but guarantees the replacement item will be to equal or greater value than the original item. The Information Bougies De Luxe collect from their customers is strictly confidential. Bougies De Luxe will not disclose your personal information to anybody other than those who are contracted to our company. 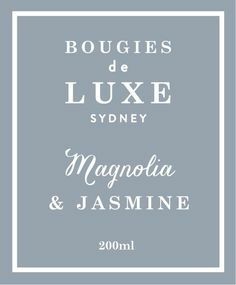 Bougies de Luxe may release appropriate information to third parties such as courier companies to assist with the fulfilment of your order. If any product ordered by you arrives damaged or is not of acceptable quality you may have rights under the Refund Policy and/or legal rights and remedies in Australia under the Competition and Consumer Act 2010 and other rights under other consumer laws applying in each Australian State and Territory to have the product repaired or replaced or to receive a refund of the price paid by you for the product. Please choose carefully as Bougies De Luxe will generally not provide you with a refund or exchange simply because you changed your mind or the product was not what you expected. 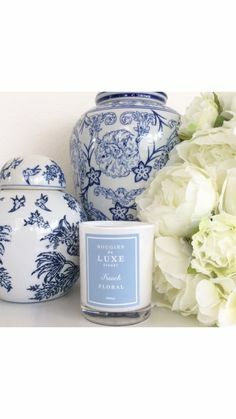 Please note that all gift wrapping is complimentary when purchasing from Bougies De Luxe online candle company and the wrapping is just one extra that makes it a worth while purchase. Bougies De Luxe deliver beautiful custom designed black gift boxes with black satin ribbon and a Bougies De Luxe gift card Australia wide. Bougies De Luxe use only the highest quality boxes and ribbons. We are pleased to enclose your personal message with each gift on Bougies de Luxe complimentary gift tag. Simply advise of the message you would like stated on the gift card.